Friday night at the Amazura Concert Hall in the Jamaica section of Queens, New York, undefeated super middleweight Marquis Moore will battle Troy Artis in a six-round bout. Moore of Colorado Springs, Colorado has a record of 6-0, with four knockouts, and will be looking to impress the New York fight crowd in his 2018 debut. The 26 year-old Moore is coming off a 1st round stoppage over Zachary Bunce on October 19th in Atlanta, Georgia. “Marquis was one of the best prospects to come out of the 2016 class. I expect a powerful performance from him tomorrow in Jamaica, New York,” said Split-T Management CEO, David McWater. Moore weighed in at 164.8 lbs while Artis was 164.2 lbs at Thursday’s weigh in. Moore served in the United States Army for three years before being honorably discharged. 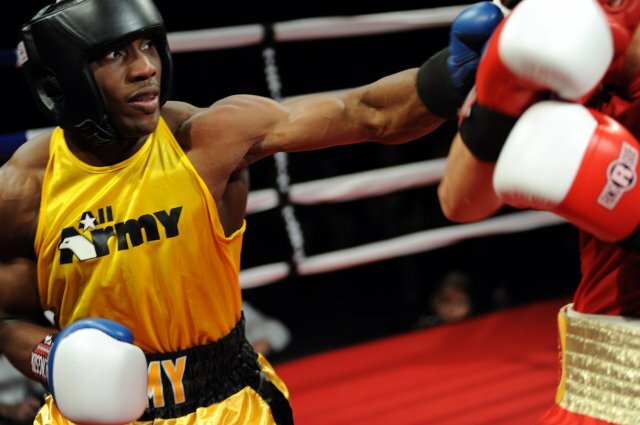 Moore, who is managed by Split-T Management, was one of the top amateur boxers in the country as he compiled a record of 140-15, highlighted by representing Team USA in many international events including winning the World National Golden Gloves as well as winning the gold medal in numerous national championships including the 2012 Armed Forces Championships, 2013 and 2014 National Golden Gloves, 2015 National PAL and US Olympic Trials Qualifiers. Headed by David McWater, Split-T Management has amassed one of the top stables in boxing. Junior Middleweights: Ardreal Holmes, Hurshidbek Normatov, Fred Wilson, Jr.